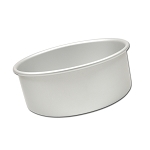 Find a variety of round cake pans when you visit Sweet Life Cake Supply. 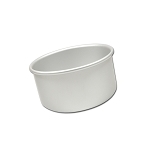 When you bake with our professional round cake pans, you will be sure to have excellent results. 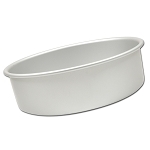 No matter what size round baking pan you are searching for we have it and many other shapes and sizes. 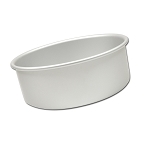 Round cake pans are perfect for tiered wedding and other cakes. 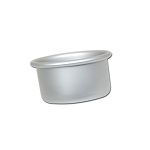 Choose from 2”, 3” or 4” height options for your round baking tin. The choose the diameter you need. 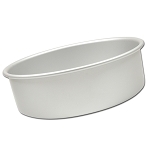 If you are creating a cake 3” high and need it to be 4” round, select the 3” height pan options. 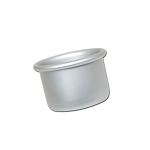 You will see the 4” round pan you are looking for plus several other options you may be searching for. 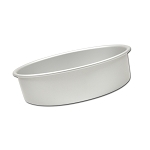 Not sure which round pan would be best for your baking project? You’re at the right place! 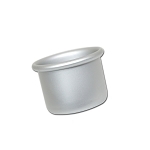 Sweet Life Cake Supply has everything you could possibly need plus wonderful customer service reps to help you.